If an applicant suffering from obesity is unable to combine his or her condition with another impairment to meet any of the Social Security Administration’s (SSA) impairment listings, the SSA will assess “residual functional capacity” (RFC) to determine what work, if any, may be performed, whether light, medium or heavy. An RFC represents the highest type of work that an applicant may perform. The RFC is used in conjunction with age, education level, and prior work experience, to arrive at a determination regarding disability. Obesity may cause limitations in the ability to perform certain functions such as stand, walk, kneel, lift, sit, crouch, bend, stoop, balance, and even the ability to manipulate fingers. The SSA assesses physical limitations by examining the combined effects of obesity and another applicable impairment on functioning. The SSA must consider any pain from the aforementioned limitations. The RFC assessment determines if there is work if any, that the applicant may perform. 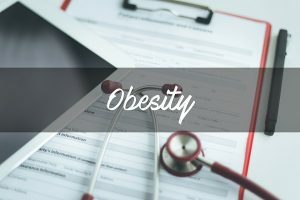 If the SSA determines that obesity and any associated symptoms associated are sufficiently limiting that there is no work that may be performed, the applicant will be awarded benefits under a medical-vocational allowance. A qualified disability attorney provides a secondary source of contact on behalf of an applicant for disability benefits. The retention of an experienced disability attorney as an additional contact on behalf of an applicant for disability benefits is often more than wise. Even if a claimant cannot be reached by the SSA, a successful case may be developed by an individual experienced in doing just this. An applicant only needs to call his or her attorney to provide and exchange necessary information with the attorney. Nothing could be easier.